These beauty soap is from Ms. Rowena Los Banos the CEO/Founder of My Bareskin Specialist and BeautyCrest Inc. 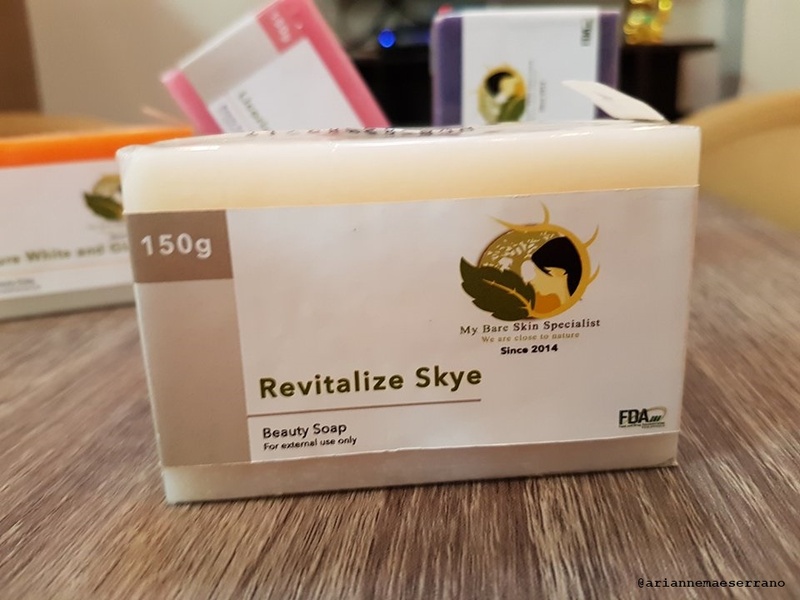 I have here 4 different soaps, the bleach perfect, licorice brisk, pure white and glow and revitalize skye. 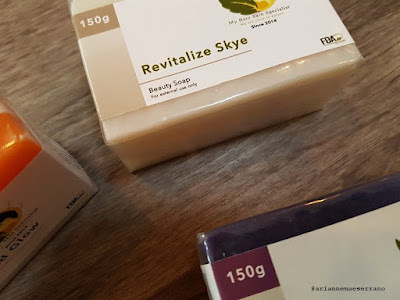 I'll give you the soap details and my advise on its use and how it can help you. This is not a product review cause I don't use it. I'll be giving this products for a giveaway. First and foremost the company was registered at the Food and Drug Administration Philippines - cosmetic center. So you don't have to worry because it is definitely certified and safe to use. Each of them weighs 150 g.
Cut it into 3 pieces before using it. So that you can save money and last it longer to user. Let us talk about Licorice Brisk first, it inhibits pigmentation by preventing tyrosinase activation. It also provides a considerable skin brightening effect and has anti-inflammatory property to clear the skin of blemishes and dark spot. 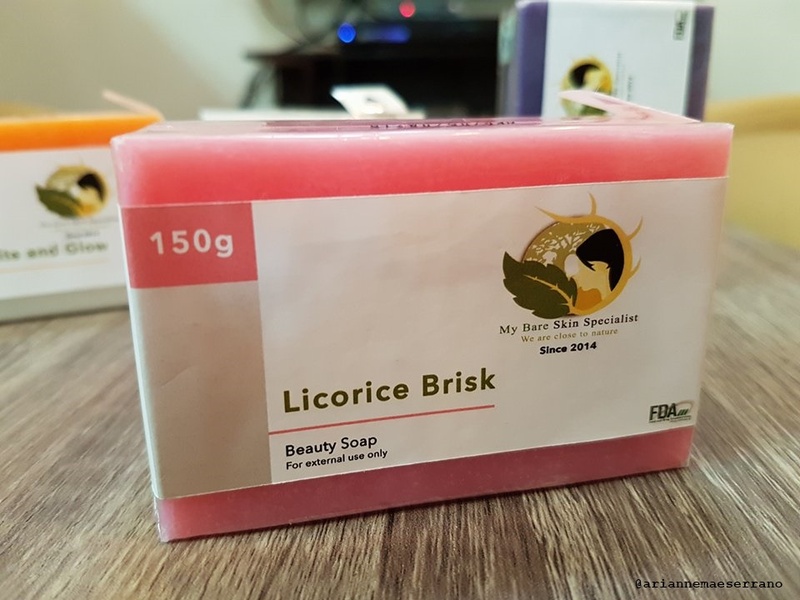 For the licorice benefits on the skin, it have an ability to help treat eczema and fight acne. It also have an anti-inflammatory and anti-oxidant property. 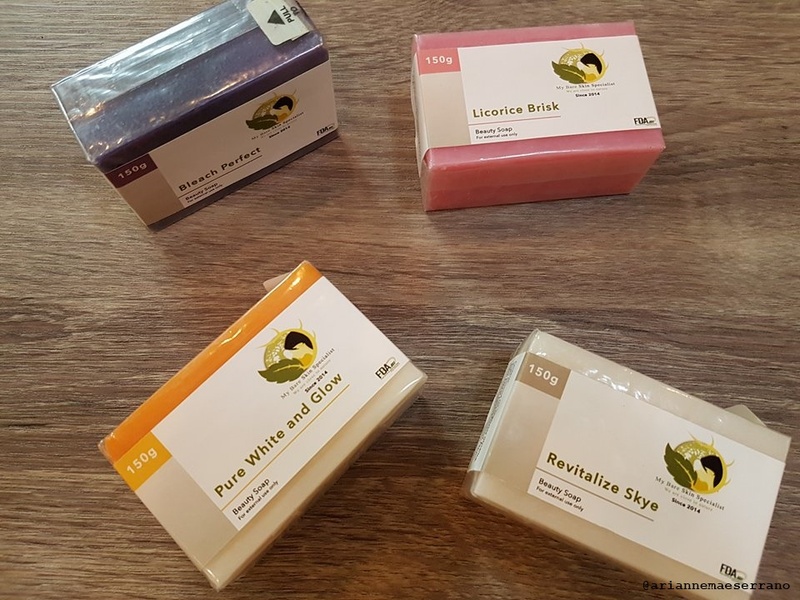 Good for dark elbow spots, stretch marks and good for whitening and lightening :) It can really help you fight different skin problems. Contents: Virgin Coconut Oil, Vegetable Glycerine, Aqua, Licorice Extracts, Papain, Fragrance. 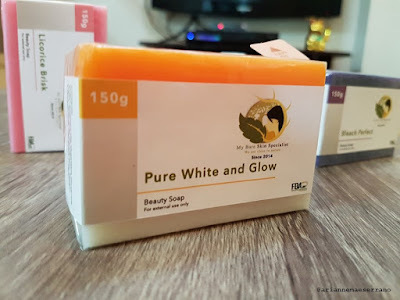 For the Pure White and Glow Soap that consist of Kogic, Placenta and Glutathione all in one has an extra strength in whitening and will surely give your skin a pure and white glowing comlexion. 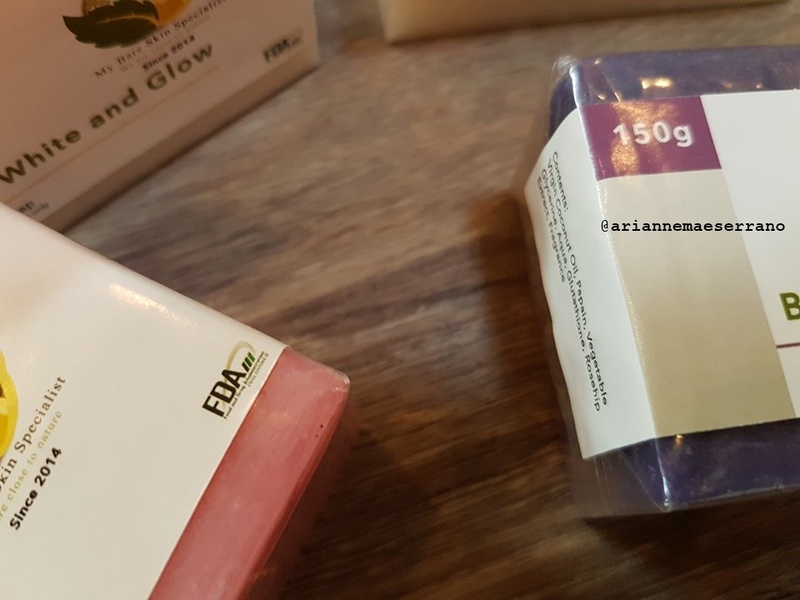 Good for those who want an extra glow and young looking skin. Popular for those people who wants to have that perfect white or fair complexion. Contents: Virgin Coconut Oil, Vegetable Glycerine, Aqua, Kojic acid Dipalamate, Papain, L-Glutathione, Placentol, Fragrance. Revitalize Skye Beauty Soap is a non-irritating soap that is powered with a naturally derived peptide complex which helps ward off the visible signs of aging and helps firm skin. Who wants to look younger and have a firmer skin? I think this soap is what you are looking for. Perfect role in anti-aging. Contents: Virgin Coconut Oil, Vegetable Glycerine, Aqua, Papaya Extract, Placentol, Papain, ,Citric Acid, Fragrance. 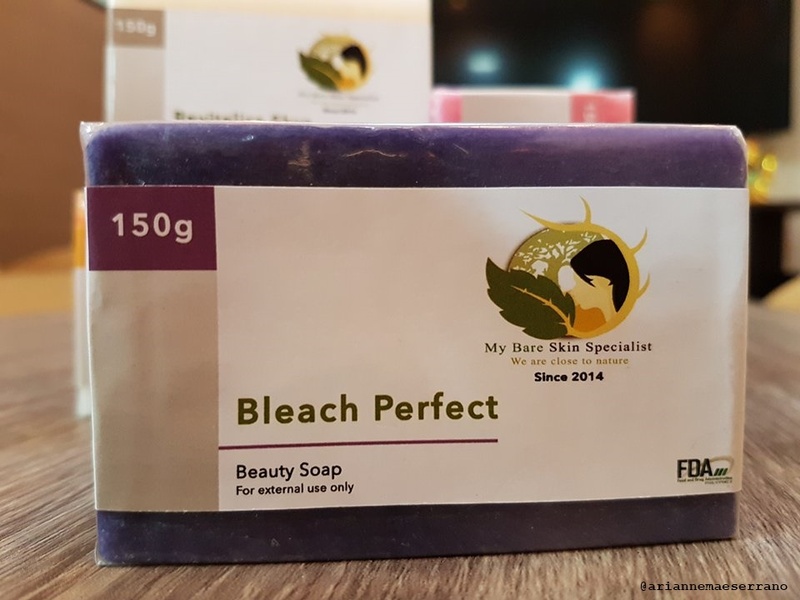 Bleach Perfect Soap is their best seller soap, it has very effective bleaching action and contains high level of Vitamin E,essential fatty acids and Vitamin A which is used for its regenerating properties that is known to help dry,damaged,scarred skin,pigmentation,blemishes and stretch marks. It can help you regenerate damaged skin and bring it back to your normal beautiful skin. It has a vitamin effect that helps you maintain that good looking skin. Contents: Virgin Coconut Oil, Vegetable Glycerine, Aqua, Glutathione, Rosehip extract, Papain, Fragrance. Stay tuned guys. On the 12th of December 2016 is my 4 years anniversary for the blog so I'll be having an #AnniversaryGiveaway.